joehall on Thu, 2014-06-19 18:50. I don't know how I missed this, but I just came across the following image of still frames from a January episode of the Simpsons. 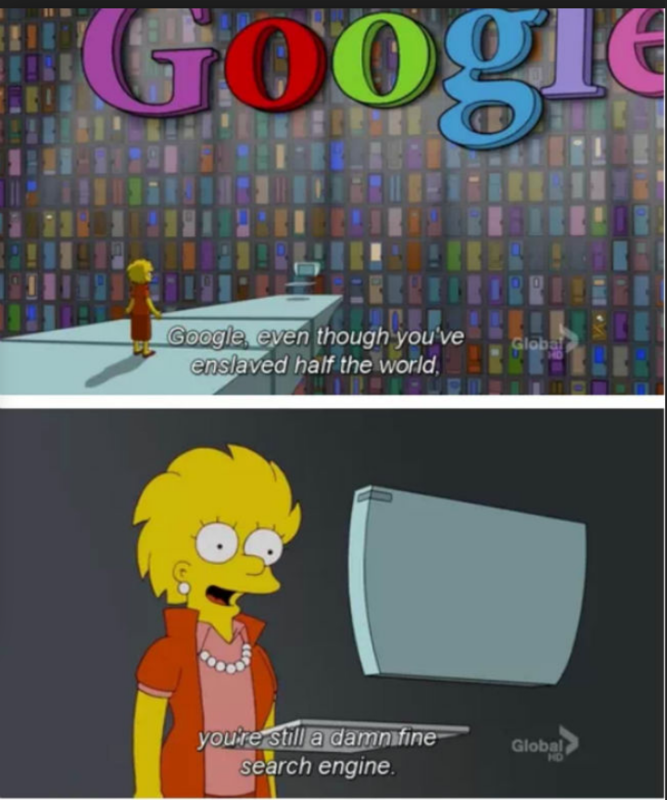 I love this, because I feel like this is the same way that many search marketers feel about Google in real life. If you would rather check out the still above in video format you can see that here. Or take a look at what Danny Sullivan had to say about this episode when it first aired.